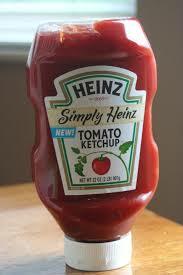 Home › running › Friday Morning Ketchup… errr.. Catch up. Friday Morning Ketchup… errr.. Catch up. Now on to our Friday Morning Catch Up! This is unfortunately necessary as I haven’t posted about ANY runs this week. I do assure you that all regularly scheduled runs did occur! I even have the runtastic graph to prove it! Notice, 5 activities in 3 days! 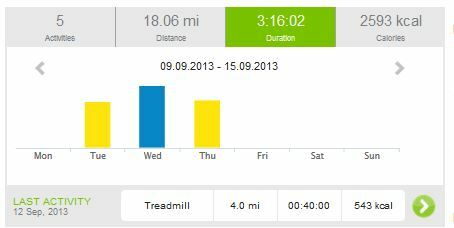 Having run 16 miles in 3 days (with two of those days having a 1/2 a mile warm up and cool down), my legs are shot! They hadn’t really recovered from the half marathon on Sunday by the time I ran again on Tuesday. I’m not sure Hal Higdon has his timing right on the week following the Half Marathon, but hey – he is the expert, right? He knows what he is doing? I only ask, as my poor tired legs have a long run scheduled for tomorrow… Though the good news is that I have company! One of my friends Jeremy is going to join me for the entire 16, and for the last 7 or 8, Derek is going to join us. I know, its a short post for 3 days.. But I will let you know (with photos!) how the run with my buds goes!